Isn't it cool if you can call your best pals and have fun asking them out with the voice of Justin Bieber, Ariana Grande, Peter Griffin, Morgan Freeman, Barack Obama and more? 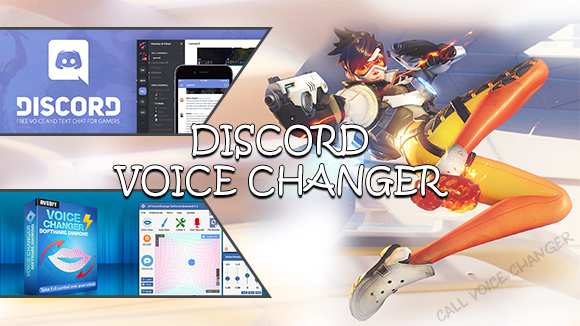 If you are feeling fascinated about this idea, you'll definitely need one of the coolest voice changer in real time to get things going. 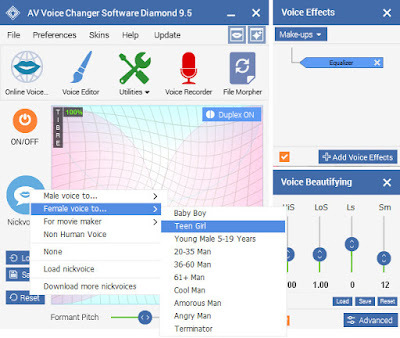 Voice changer software is a specialized voice mastering tool for both online and offline activities. 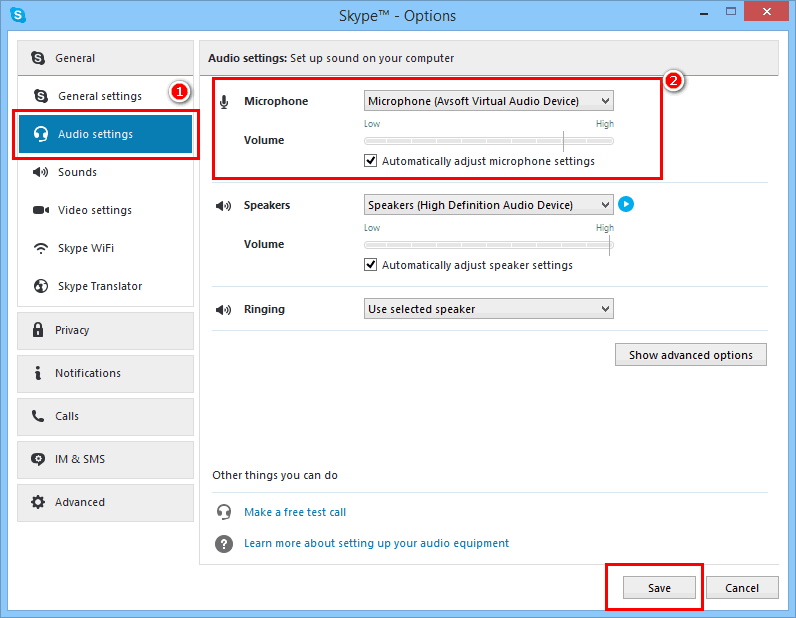 This program works with 2 main voice changing algorithm, Virtual Audio Driver mode, which allows you to modify and control your voice in real-time voice chat in Skype. On its main panel, you can easily find a parabolic voice morphing graph (or specialized graph for Timbre and Pitch manipulation) formed by hundreds of curved lines. 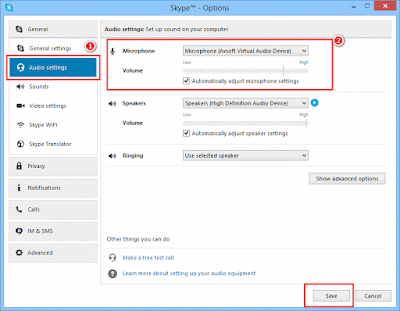 They themselves create various arching set points providing users a wide range of voice tones as they wish. 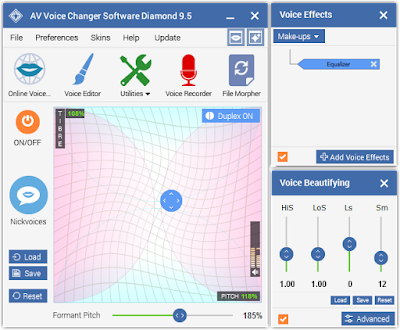 This newly upgraded voice morphing graph is a brilliant feature which makes voice changer software stand out from relevant tools. Male to female voice: turn a male voice into a female voice with different personalities and ages. Female to male voice: turn a female voice into a male voice with different personalities and ages. Non-human voices: a diversity of animal voices. Customizable nickvoices: which you can save with any nicknames and personality. What special about this voice changer is that it offers you an comprehensive control on your audio output, from timbre and pitch, voice limiter, noise reduction, equalizer, voice formant and a long list of unique, vivid sound effects, in order to make your audio sound completely natural. 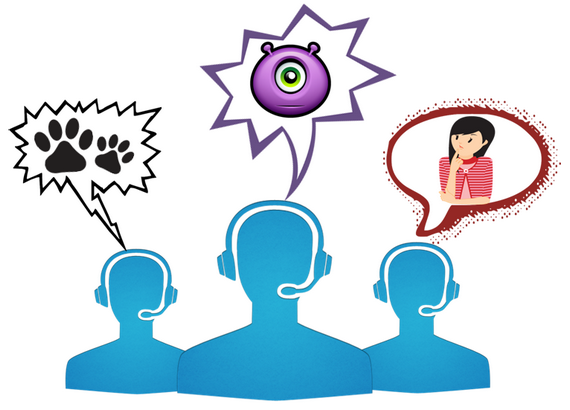 Call voice changer is the best solution for all voice changing tasks in Skype, you can make professional E-conference via Skype in a professional voice, mimic a friend's voice, or fool your chat buddies around with celebrity voices, and of course .... all the adjustments you make in this program will be heard immediately through headphones and automatically applied to your Skype calling conversation. 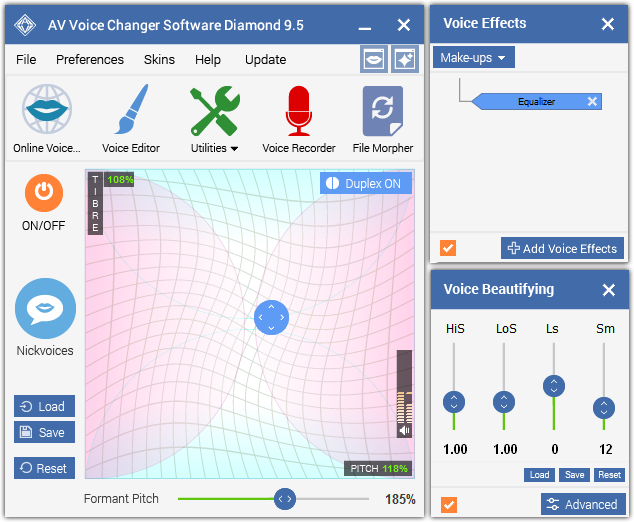 Besides that, you can easily enjoy a quick, advanced voice controller which helps you save much time in morphing, thanks to the smart, friendly user interface. Wanna try it out? 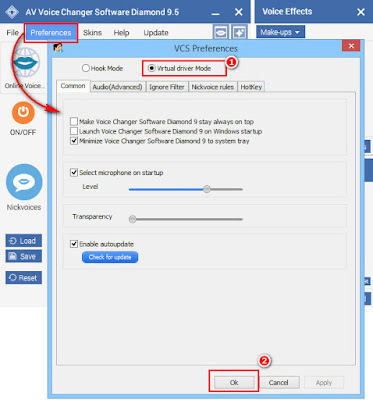 Feel free to check and download AV Voice Changer Software Diamond and follow our tutorial. And now, the two software are already connected. 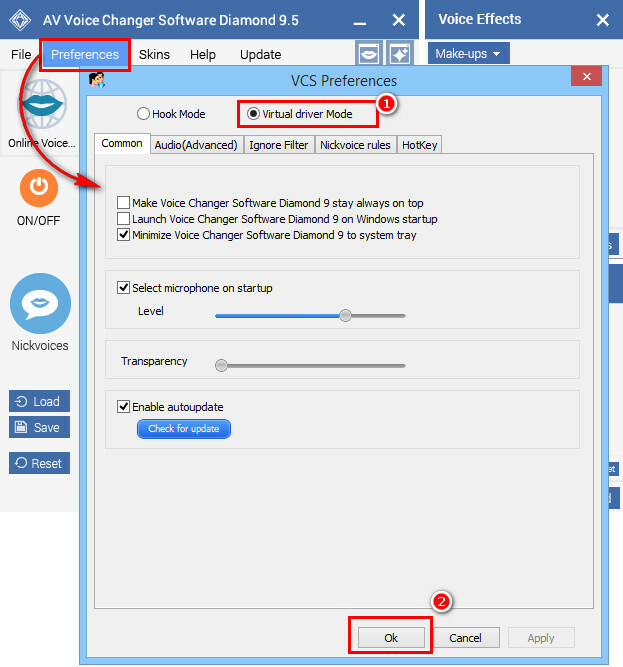 You can change your voice to any voice you want with AV Voice Changer Software Diamond and then start your funny Skype chat with many voices.